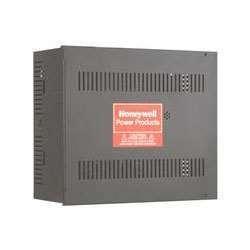 Honeywell Power Products' HPL624-12C is a supply/battery charger kit that can convert low-voltage AC input into 6 VDC or 12 VDC at 1.20 amps of continuous supply current. The HPL624-12C is a great solution for getting additional power to an access control, security, or CCTV system. Kit includes a HTP1640 plug-in transformer (for 12 VDC operation) and a 12 V 5 Ah rechargeable battery.